What happens when you need a dental cleaning, you're experiencing tooth pain or worse? Most of our readers own dental practices or they are staff members who assist in a dental practice, which should make the entire process of going to the dentist very simple. For most people who do not work in the world of dentistry, typically you'll make a dental appointment and see your dentist as soon as possible, but what if it wasn't that simple for others? 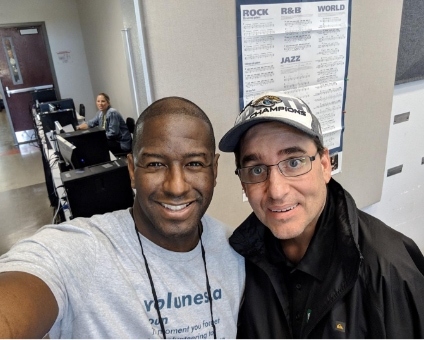 Thankfully, DPC Technology partners with life-changing foundations like the Florida Dental Association's Florida Mission of Mercy to help make this process a little easier for some of our Floridians. What is the Florida Mission of Mercy? 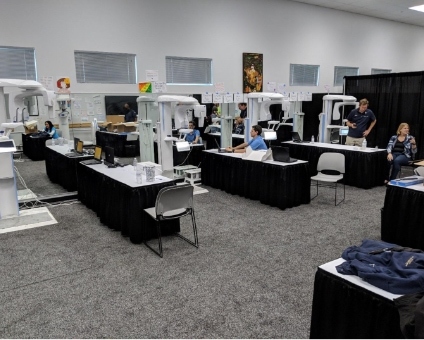 The Florida Dental Association Foundation Mission of Mercy (FLA-MOM) is a two-day clinic which provides free dental care to the under-served and under-insured in Florida – those that would otherwise go without dental care. 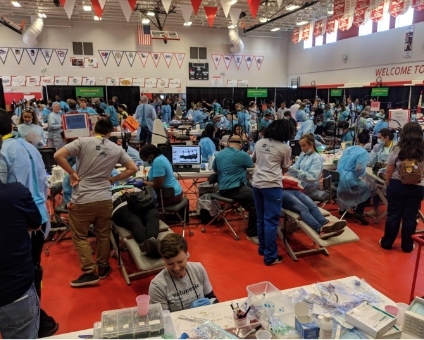 The Florida Dental Association Foundation Mission of Mercy is a first-come, first-served event with a goal of treating 2,000 patients in two days. Every year, the Florida Dental Association Foundation Mission of Mercy project is held in a different location throughout the state. Services provided include cleanings, fillings, extractions, pediatric dentistry, limited root canal therapy and dentures. HOW IS DPC TECHNOLOGY INVOLVED? 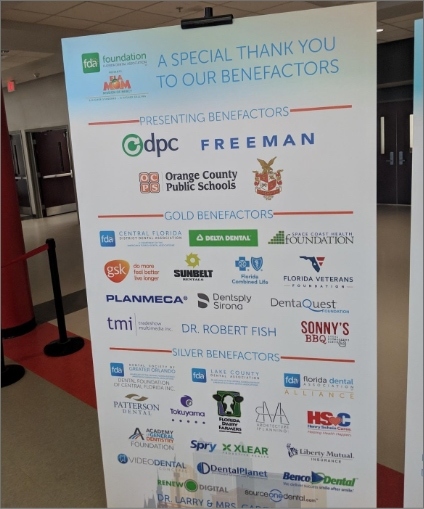 DPC Technology had the honor of sponsoring the Florida Mission of Mercy as the Presenting Benefactor for the fourth consecutive year. Clay Archer (CEO), Dez Merrow, Marty Cortines and Xavier Flores traveled to Orlando for this year's big event. 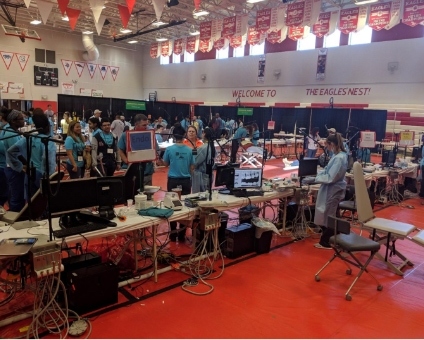 It was a busy four days in Orlando at Edgewater High School last week! The Florida Mission of Mercy provided care to 1,846 patients with a value of more than $2.07 million! 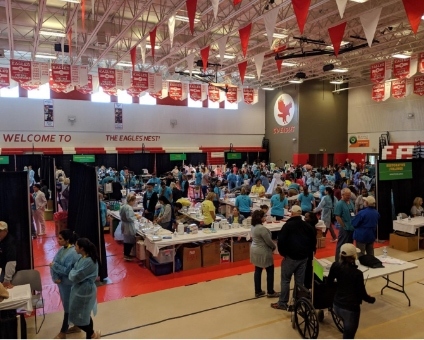 Thank you to all the volunteers who selflessly dedicated their time and skills to the 2019 Florida Dental Association Foundation Mission of Mercy! We could not have done this without your help and support! 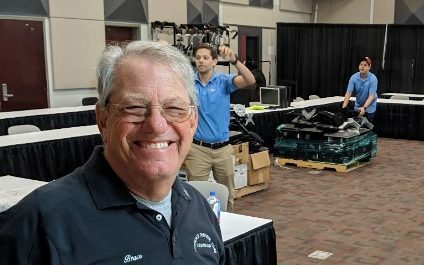 We'll see you in Jacksonville for the 2020 Florida Dental Association Foundation Mission of Mercy on April 24 and 25.